Hostel Era, Madryt, Hiszpania : Rezerwuj teraz! Hostel Era is located on the first floor with a separate entrance. 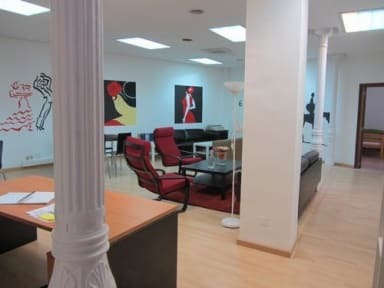 We have a wonderful location on the streets Fuencarral and San Mateo, close to the best shops, bars, restaurants, nightclubs and museums in Madrid. We are also just 50-meters from the Metro 'Tribunal'. The hostel has a communal kitchen with microwave and refrigerator (no cooker or cooktop available) for you to prepare basic meals and a comfortable lounge with free internet and the breakfast is served from 8 a.m. to 10 a.m.
Nice atmosphere and friendly staff are here to make your stay as comfortable as possible.